Hope you have had a great week and a beautiful trading month so far, there has been a lot of live forex news events helping us make some good profits already! This is going to be a Major week for 2018, most FX traders will be looking for a clear direction on the US Dollar. Platinum Analysts believe that the Yellen speech will be full of optimism due to the current nature of market confidence and the latest set of figures. We are looking for 25 basis points hike in March, June and September meetings. It is down to the Fed to stabilise this dollar collapse. It is going to be an absolute number cruncher of a week for FX traders as we have more economic news reports on their way, including the ISM and Non-Farm Payrolls this Friday. 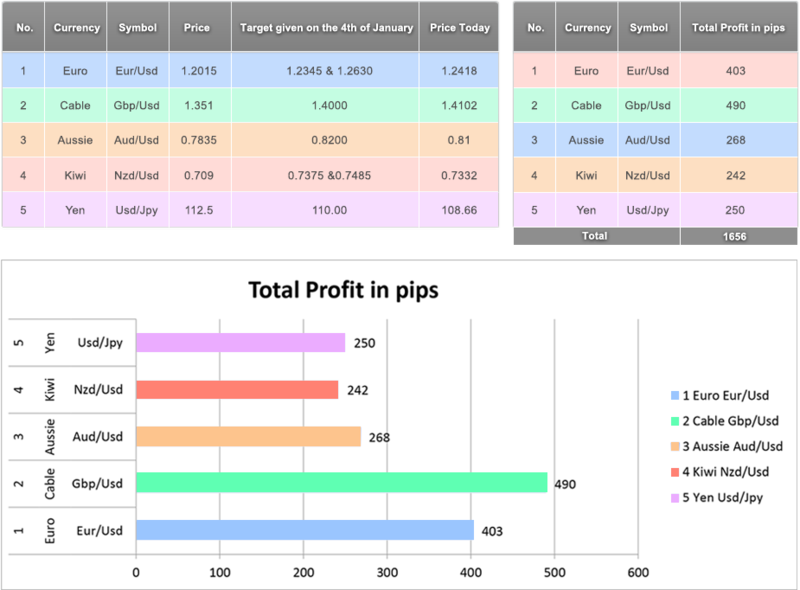 The forex trading system seems to be on autopilot for buying the dips, and I would like to share five major forecasts that we had given to Platinum Traders on the 4th of January, and the trading strategies that went with them for these live Forex news events. LEARN HOW TO TRADE THIS NEWS EVENT TODAY! The currency failed for the 7th week consecutively against some of the leading global currencies. This has been the longest period of time that the US Dollar has witnessed losses in more than thirteen years. At the beginning of 2014, the USD continued to record gains for 3 continuous years even as the Federal Reserve tightened its policies, whereas the currencies of the other G10 countries remained behind. This can be seen on currency pairs like the AUD/USD and EUR/USD. The US Dollar added almost 37% after the Federal Reserve started tapering Quantum Easing purchases of the asset at the start of 2017. Ever since, both the policy-making officials as well as the traders are treading cautiously with regard to an upcoming hike in the interest rate decisions. Both the market as well as the officials have come to realise that the rate would be hiked anywhere between 2-3 times in 2018. After this fact has been firmly established, traders are now shifting the focus of their speculations elsewhere. In fact, they’re now hoping that a broader global pick up and growth will likely push other countries and their central banking institutions to imitate Fed’s move. The diminishing yield ratio between other foreign currencies as well as the USD, especially given that the Federal Reserve’s policy in itself is discounted, has further resulted in the outflow of capital from the USD to other non-US Dollar alternatives. LEARN HOW TO TAKE PLATINUM FOMC TRADE OF THE WEEK HERE! As far as future developments and economic releases are concerned, the Federal Open Market Committee’s policy-related announcement shall be passed without any support even as the officials focus on managing the exchange of chair between Janet Yellen and Jerome Powell. At present, the bets on policy are so firm that the live forex news announcement of the ISM as well as the non-farm payrolls figures, typically market-moving news releases, will have to dramatically deviate away from the forecasts in order to gain enough attention. That would shift the focus of investors on other developments. Outside of the United States, there have been certain signals that the markets could have reached out too far. The BOC, the ECB as well as the BOJ that are looking forward to delivering updates around their policies in January are planning to push back against any speculation that they’re considering a major hawkish shift in their respective policies. On the other hand, weak CPI report from New Zealand is indicating towards the fact that the Reserve Bank of New Zealand won’t be lifting their interest rates at all. The Bank of England’s Governor may also be looking to support the officials who’re not in the favour of an aggressive policy tightening when he interacts with the Parliament’s Treasury Select Committee next week as the Brexit deal draws closer. According to the experts at the Platinum Academy, the USD may find some support if the live forex news on the domestic front is positive. This may encourage the Fed to hike the rate for the fourth time in the year. On the other hand, the USD may gain some strength only when the prospect for external monetary tightening retreats. If you’ve only just started thinking about stepping into the forex market due to the ongoing trade wars, then we highly recommend starting with a demo account. A lot of new-comers tend to think about short-term gains, and yet some of the most profitable trades take place in the longer term. Sure, you can sit at your computer trading in real time, analysing every little piece of live forex news, but is it not better to only spend a fraction of that time placing pending orders so you can spend the rest of it with family and friends? We think so. Join us today as we trade the markets with both simplicity and finesse, proving that forex trading doesn’t have to be either stressful or time-consuming. Download our free ebook to read about the various fx trading Patterns that work in the Financial Market. Watch Trades of the Week Videos in our video gallery. Subscribe to Platinum’s Forex Newsletter.